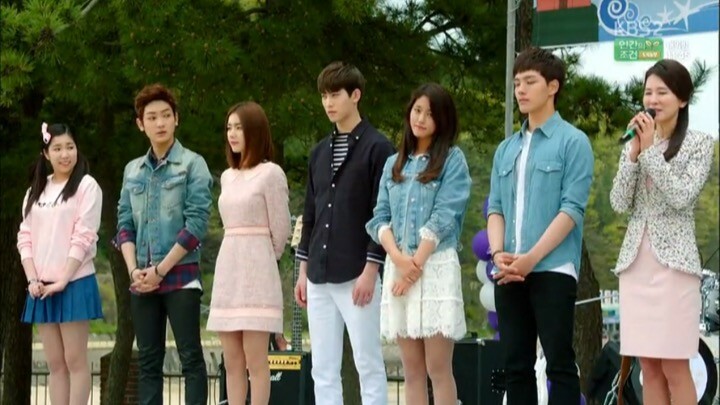 Orange Marmalade is a high school musical drama with a lot of heart and a double dose of sweetness, wrapped in the classic setting of the perpetual conflict between vampires and humans. The drama is packed with everything from romance and comedy, to suspense and melodrama. Even though it’s based on a fantasy-themed webtoon, the drama does a good job of humanizing our characters and making them sweet and emotionally accessible. Even the vampires seem so human that it’s easy to relate to them. For instance, our heroine’s parents’ constant worry over whether or not she’s doing well in school warms my heart to pieces. There were points where I felt like some typical drama tropes were overused, especially in the romance department — unnecessary love triangles and excessive practices of noble idiocy to name a few. However, I’d admit that the drama weaves in the forbidden love story much like Romeo and Juliet (lovers who cannot be together) in a nice way. It does a good job of humanizing our characters. But more than anything, Orange Marmalade expertly maneuvers between different moods in such a way that we’re able to identify with the feelings that our characters are going through in the moment. Although the drama has a few notable flaws in pacing and some predictable tropes, it does do a great job of delivering a profound moral that what is perceived to be bad can in reality, be good. Orange Marmalade manages to not only introduce all the main characters in the first couple episode, but somehow also made them leave strong impressions. 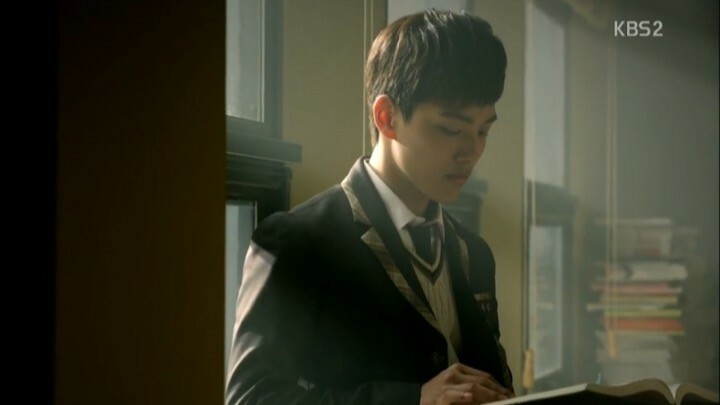 We have Jung Jae Min (Yeo Jin Goo), your usual cool kid who’s well-liked among the female students, and is also the class president. Then there are Baek Ma Ri (Kim Seol Hyun) and Han Si Hoo (Lee Jong Hyun), vampires who want to fit in at school and be accepted for who they are, but have different ways of showing that desire. Si Hoo’s way is via anger and rebellion, while Ma Ri’s is that of adaptation. She tries so hard to adapt to the human world and fade into the background like every other normal kid. The other major character is Jo Ah Ra (Gil Eun Hye). She’s the female version of the popular kid, and has a crush on Jae Min. Back to talking about making an impact, short as Si Hoo’s screen time was in the first episode, I particularly enjoyed watching his gaze being so angry at will. His character immediately arouses my curiosity. The love triangle and rivalries are quickly established. By the end of the second episode, Jae Min is already deep in aversion with Si Hoo. Si Hoo on the other hand, does not understand why Mari even acknowledges Jae Min’s existence at all. As I watch the equally likable two boys contend for Mari’s attention, I couldn’t help but wish for some form of friendship between them as well. At the same time, we see that Jae Min really hates vampires from the very beginning, and we’re able to find out part of the reasons through flashbacks of his past. 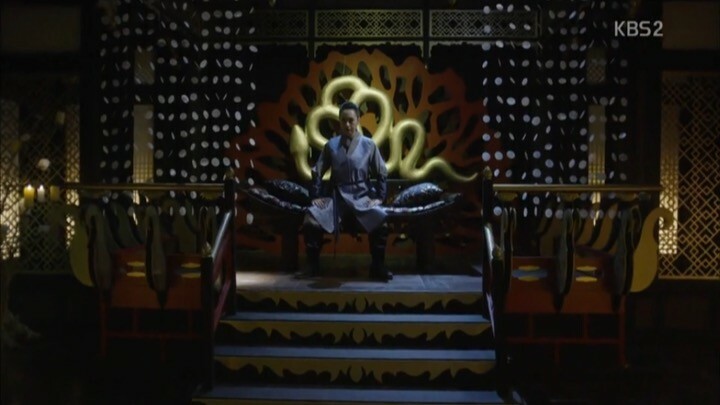 We also learn that he has some sort of a connection to Si Hoo, and all the other vampires we’ve seen in this drama thus far. The first two episodes move fairly quickly, but by the end of the second episode, we have a very clear picture of where things stand in this drama. We find out a little more about our major characters’ lives in these episodes, and things get a little serious as our characters move from facing everyday high school routines to dealing with real familial and emotional issues. We experience a first change of mood in Orange Marmalade as real conflicts begin to kick in, and the rate at which all the fluffy romance disappears is nearly painful. Things quickly escalate as Jae Min finds out that both Si Hoo and Mari are not the people he thought they were, and it all but tears him apart. Not only is the initial happy-go-lucky mood out the window, I also start to get a sense of just how much Si Hoo deeply cares about Mari and how much he’s willing to put on the line for her. One thing I really enjoyed is Si Hoo’s devil-may-care attitude towards everything — even though he uses this attitude as a facade to conceal his pain and the deeper emotional issues that are troubling him. We’re given a glimpse of how the loss of his parents made him the way he is. It’s heartbreaking to watch him struggle with his pain, and masking it with apathy coated with sarcasm. I also start to really dislike Ah Ra at this point; she appeared to be just a harmless crush before. But she inadvertently causes a giant rift between our lead couple, and puts Si Hoo in mortal danger. In a whirlwind turn of events, I find myself in much sadness for every single one of our main leads by the end of this section of the drama. Jae Min suffers from what seems like a very intense memory loss, Si Hoo mysteriously disappears, and Mari is possibly in danger of being punished by the VCS (Vampire Control System). A sudden time jump leaves me utterly confused. There is also a time jump where it seems as though Jae Min has no idea who Ma Ri is anymore all of a sudden. This time jump was so sudden that it left me utterly confused. I felt that the drama could have found a better way to introduce the time jump, as it seemed somewhat rushed and random. These episodes of Orange Marmalade are a bit confusing and slow paced at first. But if you endure through them, they ultimately give you a clearer context for some of the things happening in the present, by taking a look at a far distant ancient past. 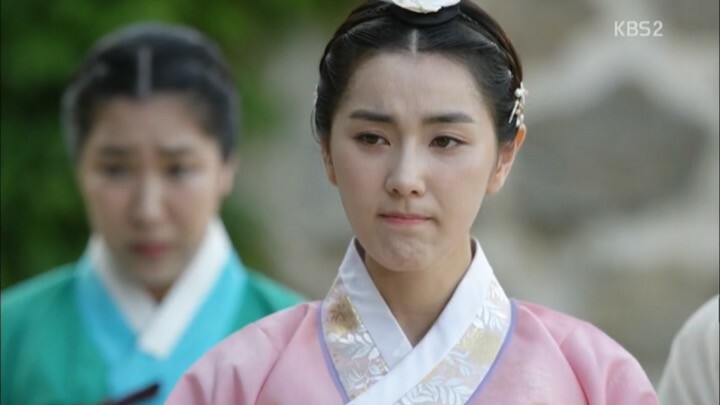 The drama picks back up in the Joseon era, with all of our characters pretty much in their same respective circumstances, with the exception of Si Hoo, who is human during this era. 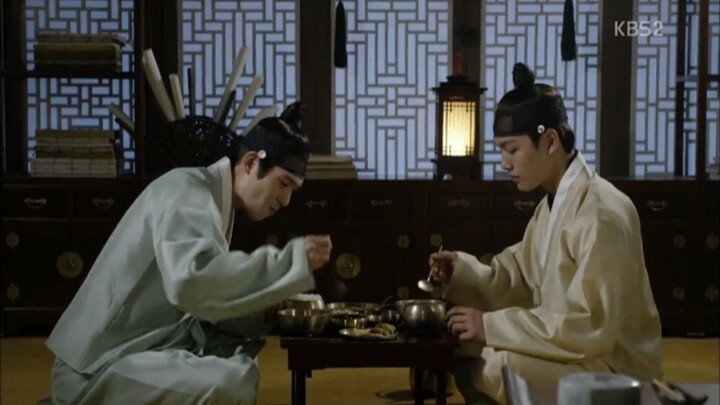 Jae Min and Si Hoo are both noblemen and are best friends. But Mari is a butcher’s daughter, and is therefore regarded as extremely low class. 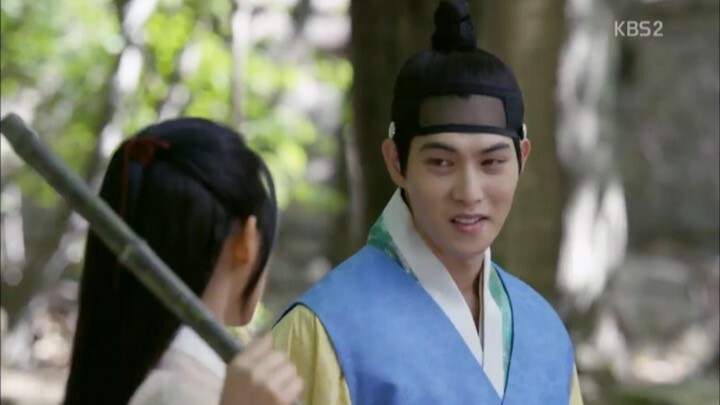 We get the impression that they’re all ancestors of our present day cast, and that the flashback to the Joseon era is intended to give us even more insight into our characters’ lives, personalities, and general situations. The only new addition to our group is an evil vampire queen known as Lady Won. Though their social status have changed, we see the same character descriptions and personalities in our characters. Si Hoo is still as adventurous and rebellious as ever in the past. He falls for Mari because of how brave and strong she seems. Likewise, the thing that draws Jae Min to Mari is her music, and the fact that she seems special and different, just like in the present. Meanwhile, Ah Ra seems to be as bad in the past as she is in the present. She goes as far as trying to charm Jae Min into loving her and she dislikes Mari just as much as she does in the present. I commend the drama for keeping details like these consistent throughout the story. On the romance front, it first seems as though the odds are in Si Hoo’s favor when Jae Min somehow manages to estrange himself from Mari. However, this changes quickly as Jae Min finds his way back into Mari’s favor and they grow closer. The drama does a good job of infusing humor at times in the overall grave atmosphere. An example is when Jae Min asks Mari to cook for him and she over-salts the rice. His reaction to the taste is nothing short of hilarious. This section of Orange Marmalade is the most exciting part of the drama for me. It’s filled with the most emotional angst, and is the final crucial step in helping us fully understand all of our characters. I love how the fates of our characters transcended time. A main plot focus here is the war between the good and bad vampires, and between the vampires and the humans at the same time. We find that Lady Won, the leader of the bad vampires may be more powerful than we think. This knowledge makes me worried for our major characters, especially Mari, who Lady Won keeps trying to harm at every turn. She runs a spa that serves as a cover for her evil activities, and her actions and speech are extremely scary and chilling for me to watch. I didn’t think it was possible to dislike Ah Ra even more, but I do as I watch her help Lady Won carry out her evil wishes. However, I am glad to see her suffer some guilt at the end of the day and change for the better. 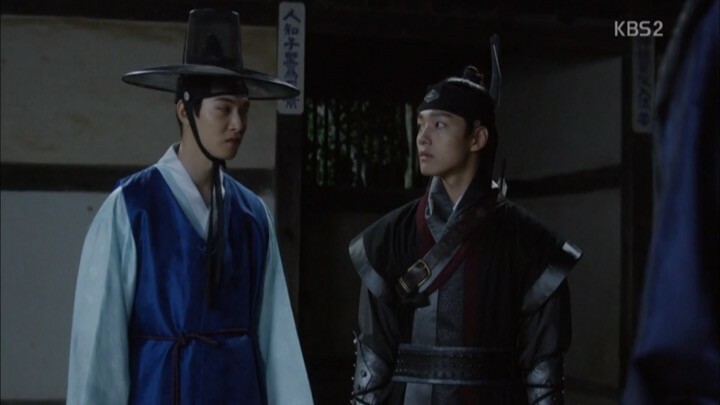 Joseon era Jae Min finally finds out that Mari is a vampire along with some shocking news about his best friend Si Hoo. This double whammy creates a giant rift between Jae Min and the two most important people in his life. 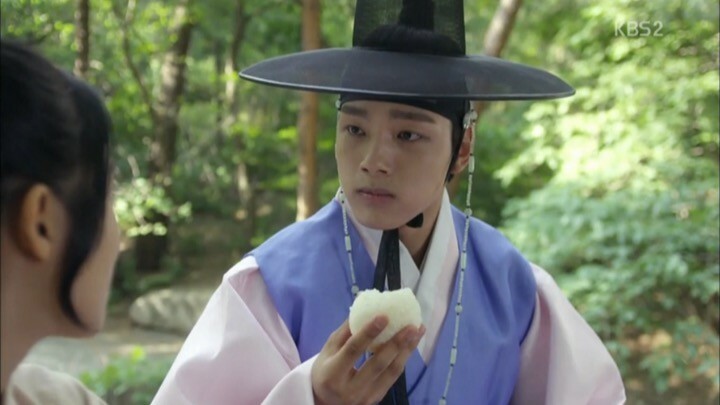 Just like the present, Joseon Jae Min can’t stand vampires either and chooses to isolate himself. Soon enough, the war to end vampires starts in the Joseon era and it takes a toll on the lives and loves of all our characters. One big difference though between the Joseon era and the present is that while the latter focuses on the problem of vampires and their existence, the former puts the spotlight on the relationships between our major characters. One of my favorite relationship highlights is how Jae Min and Si Hoo team up to fight against Lady Won’s underlings. It makes me wish to see an avenue for them to work together in the present as well. Though the Joseon era comes to an end here, the major achievement and purpose it served is giving us an in-depth understanding of who our characters truly are. I particularly love how the fates of our characters transcended time, as is the case with Jae Min and Mari. At this point, a lot of resolution needs to get done, and the drama skillfully ties up all loose ends in its sweet yet fast paced fashion. We are back in the present, and Jae Min’s memory loss is explained. Something else seems to have changed, as Mari becomes very open with the fact that she is a vampire. She seems like a different person in the way she handles the reactions of the other students. Jae Min doesn’t remember Mari anymore, but she manages to stay cheerful and kind to everybody regardless. Fortunately, Si Hoo comes back to support her just when it seems like she’s getting tired of the way the other students are treating her. The love triangle resumes promptly, and we get a few laughs with Si Hoo being his usual naughty self. The happiest moment however is when our lead couple starts seeing each other again. It’s a very sweet, emotional moment. Jae Min finally remembers all that he’s forgotten and realizes that Mari has always been his one true love. It’s a happy ending all around as Jae Min becomes friends with Si Hoo to finally kick off the long awaited bromance between them. It warms my heart to see all our characters doing so well and I loved every bit of the bromance. However, Orange Marmalade is not without a few fatal flaws. One of which is the prevalent acts of noble idiocy between our main couple, particularly from Mari as she makes sacrifices for Jae Min’s sake. Another is the overly faint music themes even though it’s dubbed as a musical drama. Finally, if there’s one thing I’ll commend Orange Marmalade for is that it manages to keep the viewer interested to the very end. I’m usually into light and breezy rom-coms, but this drama bridged a fine line between romance and suspense, with just a hint of melodrama and comic relief at the right times. Admittedly, it did feel a bit slow which made it hard to fully enjoy the drama at times. 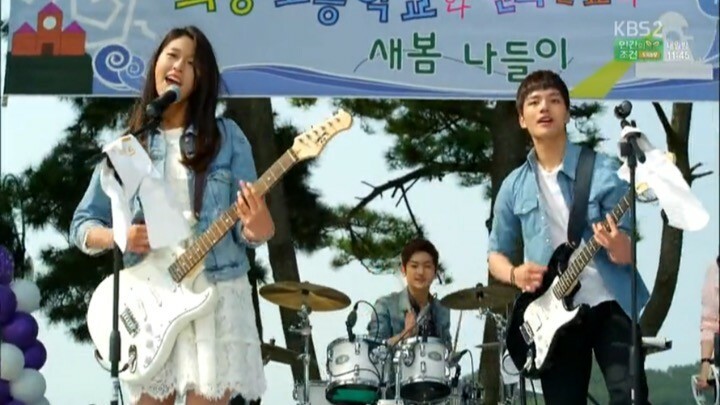 However, Orange Marmalade has proven itself to be a sweet romance story with a few important lessons. It presents the morals that different isn’t necessarily bad and that you don’t have to be human to exhibit humanity.